Heya all !! 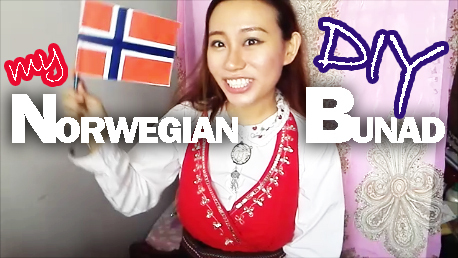 Recently for the 17th May, Norwegian National Day , I made myself a look like Norwegian bunad as Im unable to find it here in Malaysia and it would cost a lot up to 2000Kr. Since it's just something temporary, I decide to mix and match some of my outfits which could pull off as the traditional Outfit. Well, I sure impressed my Norwegian fiance as he was surprised I could mix and match out a look like one with just my normal daily outfits! Let's be creative and who knows you might even make the traditional outfit look way much more trendy ! Just like those improvised Cheongsam or Japanese Yukata/ Kimono. If you have more questions just leave down in the comments and I see if i can help you out with it ! Thanks and have a great day ! !